Discover 10 campsites of France Winter camping but also over 450 campsites throughout France, offering a variety of rental mobile homes, chalets and accommodation of more atypical as bungalows or caravans, but also leisure facilities such as aquatic areas with sometimes an indoor or well even with heated pool for your comfort, for an unforgettable vacation. 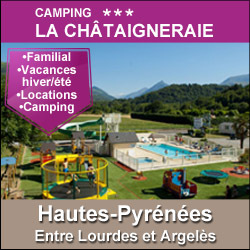 Campsites in France Winter camping welcome you to your camping holiday 2, 3, 4 and 5 star or LRP. 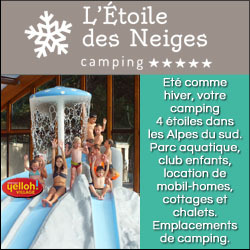 Campsites with recreational facilities (swimming pool, water park, water park, water slides, wading pool, spa, playground, tennis court, multi-sports), entertainment and services (restaurant, bar, food, WiFi access, disabled access, camper services) to make the best of holidays throughout France Winter camping. 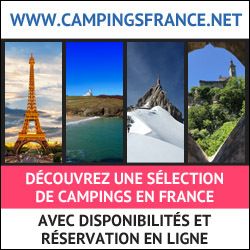 Traditional camping in France Winter camping on pitches or rental of mobile home camping, campsites below offer the best camping in France Winter camping. Enjoy the outdoor accommodation and campsites in France Winter camping! Rental of mobile homes, chalets, bungalows, cottages, Bengali, cottages, trailers, caravans, tipis and camping sites equipped for your holidays in France Winter camping, our French campgrounds welcome you everywhere in France Winter camping, a favorite camping in Europe. Have a great holiday camping with our campsites in France Winter camping! In south of Midi Pyrénées of France, at the fringe of "Col du Tourmalet" places of interest (Tour de France cycle race),and "Cirque de Gavarnie" (UNESCO) and Lourdes, you will find a convivial camp site,rentals Mobil-homes, having a quality-label, with trees, quite flat, apart from the road traffic, with recent equipments, for campers loving space and peace. Near the footpaths, we will advise you on the ballades and the multitudes of lakes to be discovered, in the national park of the Pyrenees, by car or on foot. At 1000m altitude, between the Col d'Aspin and Col du Tourmalet, in the valley of Campan, Camping L'Oree Des Monts *** welcomes you all year in a green and soothing calm. Near the Pic du Midi de Bigorre, Payolle, Lourdes and its grotto, Bagneres de Bigorre and its spa, allow you to discover some of the heritage and local cuisine. Then, the area around the campsite offers many hiking trails and in low and high mountains, for a change of scenery optimal. Rent from a minimum of 2 nights.